When you are tired of the usual gaming experience, then perhaps it is time to set up an account at Casino Euro. Powered by multiple top software developers such as NetEnt, the online casino site features a wide range of gaming options including table games, classic and video slots, video poker, and live casino, which is one of the new entries. Unlike most competitors, Casino Euro allows clients to live chat with their dealers while playing. Operated by BML Group Ltd. with licenses issued by the MGA (Malta Gaming Authority), Casino Euro started its operation in 2002. For more than a decade, the casino has been offering a fun and exciting gaming experience to more than 750 thousand clients with its high jackpots, amazing bonuses, and safe systems. The site is also supported in more than 15 languages including German, Italian, Finish, Greek, and German. However, being around for more than 10 years does not mean the site already lacks modernity. 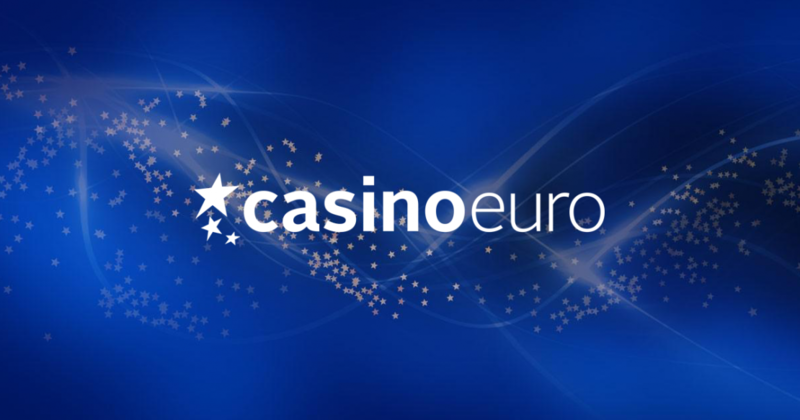 Just recently, Casino Euro upgraded some of its website’s features including game search function, and introduced a navigation tool that lets guests tour around the site easily. On the other hand, with the new timeline feature, you can review your recent activities such as notifications, played games, winnings, and deposits and withdrawals, which, by the way, are also made faster at present. If you are aiming to up gaming by a level but would like to maintain ease of use, Casino Euro is a good pick. It features instant play interface and even comes readily accessible through handsets. However, certain countries are restricted from accessing the site, and some of these include the US, Canada, China, and Hong Kong. Powered by a variation of leading software platforms, including NetEnt, Micorgaming, and Ash Gaming, players can expect quality gaming experience whether just playing classic slots or the live casino. More than 60 of its 400+ games are powered by NetEnt alone. Players craving for a night of wholesome poker are on the right track as well with several poker rooms from OnGame Network, a world leader in poker networks, readily accessible in the site. This gives you an opportunity to play Joker Wild Double Up, Deuces Wild Poker, and All American against other online gamers and earn amazing winnings. To ease boredom out of the usual scenario, Casino Euro added several new games to their collection including Bridesmaids, Zeus 1000, and Wild North, which all belong to their video slots category. On the other hand, their live casino, which is also a recent addition, gives players access to live casino games without the need for downloads and installations of certain software. With top software platforms and a variation of security systems, Casino Euro has efficiently maintained its good reputation in terms of data and financial security. Having all the necessary licenses from the Lottery and Gaming Authority, players can also guarantee that the casino site complies with the organization’s rules and regulations on fair gambling. Get 100% bonus right on the spot when you register and deposit money to Casino Euro. That means players can earn as much as €500 for depositing €500. The better part is that gamers can use and spend the welcome bonus on any game they want. However, note that terms and conditions apply to this promotion. Deposit often and earn extra spins every week. For deposits made from Friday to Thursday of the next week, registered players can get 10 free spins when the total amount of weekly deposit reached €500. Free spins are divided into two payouts and with the first half to be given on a Saturday and the next five spins on a Sunday. Winnings are also one of the best reasons why Casino Euro is the favorite by many. Jackpot prizes can get as much as €6,000,000, when you play games like Hall of Gods. For questions or concerns, you can easily contact provider by email, or for prompt responses, by chat. Feel free to speak with a representative as well when you dial their number.